habe mich letztens glaube ich bereits da registriert.. I follow you via FB!! Check out my Lady Gaga Fame giveaway too! Followed via GFC )Nancy Yee) and FB (Nancy Yee)! Followed you on Facebook and I'm following you as M-ina on GFC.. 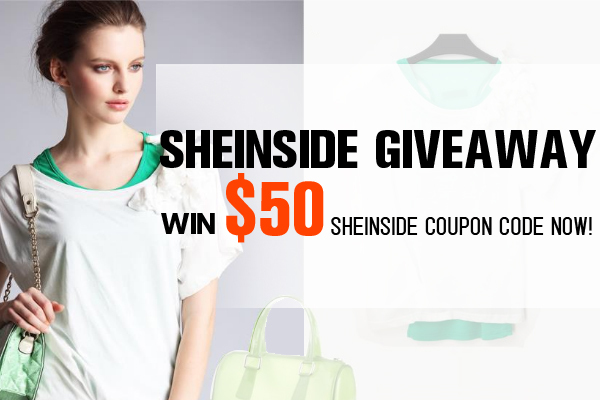 I would love to win this, sheinside is just amazing! send you an email. I've got some creative ideas for your blog you might be interested in hearing. Either way, great blog and I look forward to seeing it expand over time.